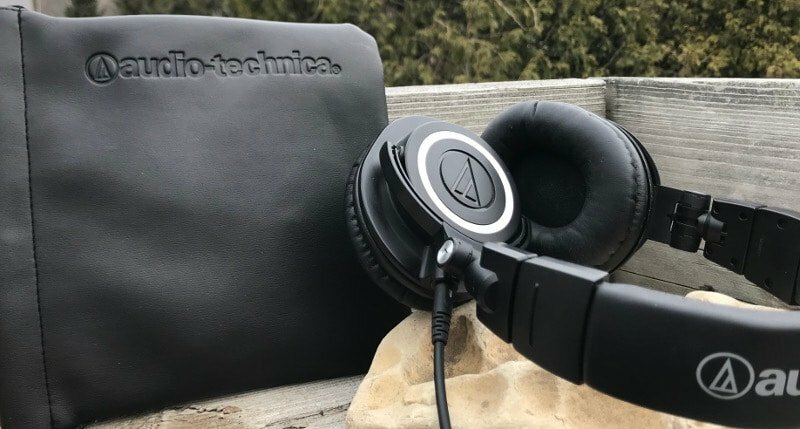 Audio-Technica ATH-M50x Headphone Review "Best Value"
Audio-Technica has quietly been making audio equipment since 1962 and has always focused more on professional audio equipment and the general consumer secondary. I think this is why Audio-Technica is not as widely known as Bose, Sony or Beats. Companies that specifically are targeting the average consumer with their products along with spending a lot of money on celebrity promotions and hype. 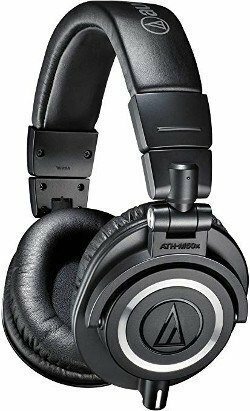 Audio Technica headphone have an excellent line of headphones all with a similar sound profile and all at a reasonable price. The M30x is the least expensive in the line but still are an outstanding sounding headphone. Has 40 mm driver with rare earth magnets and copper-clad aluminum wire voice coils. The M40x com with a detachable cable and storage pouch and has 40 mm drivers with rare earth magnets and copper-clad aluminum wire voice coils tuned flat for accurate sound monitoring across the entire frequency range. The M40x are great sounding headphones but for $20 more the M50x are a better value. If you keep an eye out you can get them for the same price. The M50x is the top model in the line and are best option and value in the line. They have the biggest drivers, the widest frequency response and the earpieces are a little small and fit the best and are very comfortable. The has a 45 mm large-aperture drivers with rare earth magnets and copper-clad aluminum wire voice coils. Comes with two detachable cables and sound quality is comparable to headphones costing $1000 or more. Audio Technica has taken their very popular M50x headphone and made a few improvements. They have added two removable cables in various lengths and kept the same great sound quality with the 45-mm large-aperture driver. The best part is they kept the price the same as the original model. 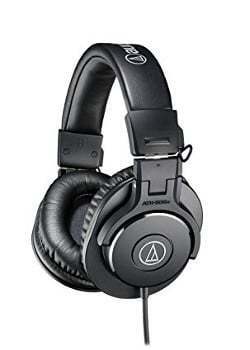 Since the release of the Audio Technica ATH-M50x, the response has been very positive. Regular consumers that know a little about audio and real audiophiles are discovering the quality and value of the ATH-M50x. Not as hyped and known as many other headphone brands on the market. 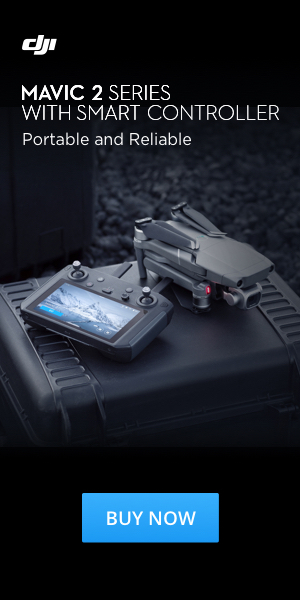 I think Audio Technica spends more time on product development then flashy advertising. This keeps the cost of overall their headphones down and are able to offer quality headphones at a very reasonable price compared to many subpar headphones with big expensive celebrity endorsements. The M50x headphones are a very comfortable headphone with a professional sleek look that is well built and sturdy. Designed for studio work the ATH-M50x will also work great for DJs and to wear at the home or office. The average consumer can use them for daily commuting and block out a lot of the surrounding sounds when listening to audio. 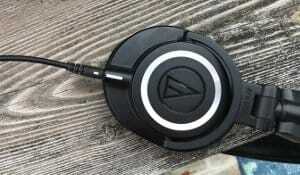 I was first introduced to the Audio Technica ATH-M50x Headphones a few years back. I was setting up a little home studio and wanted a good pair of headphones. The first thing I did was call my professional recording engineer friend in Los Angeles and ask him what he would recommend. The pair he recommended was the ATH-M50x he said the sound quality was comparable to headphones costing over a $1000. So I ordered a pair and was not disappointed. Here I will share my thoughts on the ATH-50x with my Audio-Technica ATH-50x Headphone Review. The Audio Technica ATH-M50x classic studio design with a modern look. Build from hard plastic and metal the ATH-M50x are a very durable pair of headphones. They are an around the ear headphone that has a very comfortable fit, give good sound isolation from surrounding noises and produce exceptional sound quality. The earpieces pivot to ensure a comfortable fit and easy storage. They have soft padding covered with a pleather material. The pleather and padding on the new ATH-50x are a little softer than the previous model. A chrome metal ring surrounds the embossed logo as a contrast to the all-black finish. The feel is very solid overall with minimal creaking. The ATH-M50x folds into themselves for easy storage and travel. This feature makes them more portable and durable as the ear cups are not left hanging and vulnerable to snapping. The headband is big and solid reinforced with a steel adjustable band inside, unlike a number of other manufacturers using plastic in this same price range. The headband is wrapped with padding and pleather and sits comfortably on your head. They do sit on your head comfortable for hours but I found at times your ears can get a little warm. The new ATH-M50x is virtually identical to the original ATH-50x but it now comes with three cables and the added ability to remove and switch cables. The removable cable is a new handy addition to the ATH-M50x with the twist and lock mechanism you can easily change the cable in seconds. Use the longer cable when record vocals or moving around the office and need a longer cable. For a more manageable length use the 1.2 meter cable or the classic coiled cable. I feel they should have included a shorted cable as the 1.2 meter cable is still a little long for your average smart phone user. The new Audio Technica ATH-M50x offers a few new features like removable cables but the overall sound signature is the almost the same as highly acclaimed original ATH-M50x and has been slightly improved. They have made a few subtle changes by slightly reducing the highs so they are not as bright sounding as the previous model and have increased the bass slightly for an overall warmer sound. The new ATH-50x have an exceptional sound quality, especially for the price. The sound signature is even and there is virtually no distortion. All frequency come through very detailed and natural with no extra crispness or bass. This allows the recording to come through as intended. The ATH-M50x is as mentioned designed for the studio as a good sounding headphone with good separation and even sound signature over all frequencies. Studio monitor speakers are loudspeakers that are especially designed for professional audio production industry. Applications where accurate audio reproduction is critical like television studios, radio studios and recording studios. The term monitor means the speaker is designed to produce a relatively flat (linear) phase and frequency responses. This will cause a minimal boost or reduction of particular frequencies, a monitor speaker will give an accurate reproduction of the tonal qualities of the original audio source. Phase shifting of particular frequencies is greatly reduced this means no distortion over a broad frequency range for stereo recordings. The bass is very rich and low but not overdone. Lows have been slightly boosted from previous model for a warmer sound. Balance midrange frequencies come through clearly. The high end is not overly crisp and but very detailed . The previous model ATH-50x had a number of complaints that they were a little bright sounding. The new ATH-50x have been improved and the highs have been slightly dialed down. Audiophiles will enjoy the true sound of the ATH-M50x. 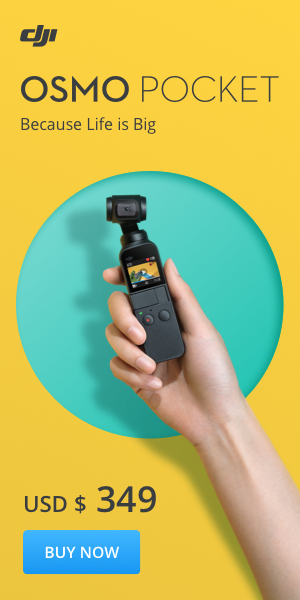 With an overall even sound signature that lets the true recording come through. They fit comfortably on your ears and are great for at the office to block out surrounding sounds. This also allows you to listen to music at a lower level and still hear quality sound. The ATH-M50x was designed first and foremost as a professional studio monitor headphones. The idea is to have a flat sound signature that gives you a good reference point when recording or mixing music. This flat response gives you a true indication of sound frequencies and when mixing ensures the audio will sound good on a broad range of listening devices. The sound signature of the ATH-M50x is very clinically accurate and will work with a wider range of genres. Making them an ideal headphone for studio work. Even though there's almost always a little bit of distortion in any set of headphones especially when it comes to bass notes, the Audio-Technica M50xs do a great job at keeping the distortions below what most users consider acceptable. This generally means that you won’t hear any distortion that isn't already part of the recorded track. Little big for out and about use. 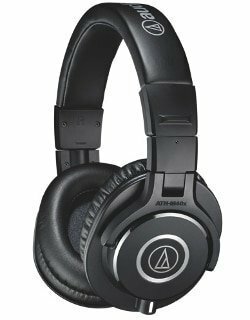 The Audio-Technica ATH-M50x Professional Monitor Headphones available in three different colors The Audio-Technica ATH-M50x headphones come in three different colors. Available classic black a rich looking blue/brown or an all-white finish. If you listen to a broad range of music and like the original recording mix to come through, and don't like sculpted sound signatures you will like the ATH-M50x headphones. For anyone starting a home studio the ATH-M50x are the best headphone you can get for the money. They easily can compete with headphones costing as much as $1000. The quality of the sound, rugged build and the incredible comfortable earpieces make them great for long sessions in the studio. Keeping and eye out for the latest Amazon pricing means you can easily afford two pairs with a moderate studio budget. I think the ATH-M50x would make a great headphone for at the office, but I do find them a little big and bulky for out and about use. They are not ideal for at the gym because of there size and they will get warm on the ears. Although there is a guy at the gym that has a pair I personal find them to warm. If you like a sculpted sound signature like many manufacturers are producing I don't think you will like the ATH-M50s. If you like overhyped bass and extra crispy highs then you may be disappointed in the M50s. They are a flat responding headphone and do not have a sculpted sound signature. Sculpted sound signature is when a particular frequency is emphasized or decreased. Some sound signature emphasizes the highs, lows, and mids to create a more bass-heavy audio sound or add more highs for a crisper sound. Many new audio devices do not have Eq capabilities so the manufacturers are setting the equalization to fit the type of music they hope their target buyer is listening to. Now you know why these headphones are highly rated. The comfort, design, sound quality, and affordable price range are some of the things that make these headphones a great buy. There is nothing out there at this price that comes close to the Audio Technica ATH-50x Professional Monitor Headphones. 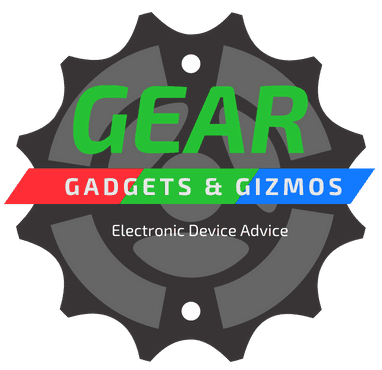 I have had mine for a few years as does my son and they work just as good as new. Always comfortable with great sound. If you have a studio the ATH-50x is really a no-brainer and for the average individual, they are also a good value. They have them on sale often so see Amazon pricing for the latest deals.